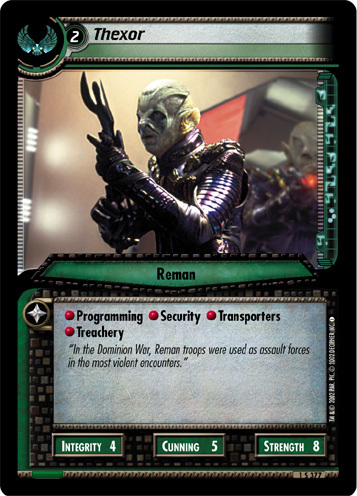 Commander: Deranas. 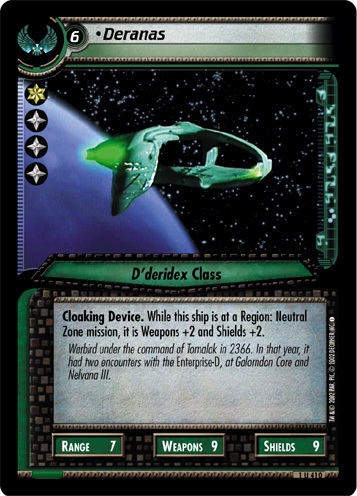 While you have a higher score than each of your opponents, if this personnel is aboard a ship, that ship is attributes +2. 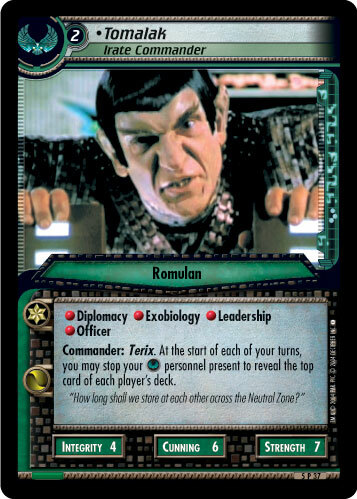 "...after we dissect your Enterprise ... 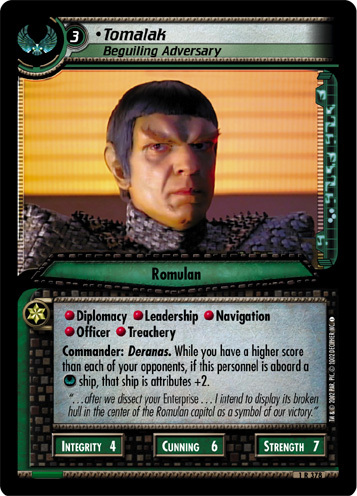 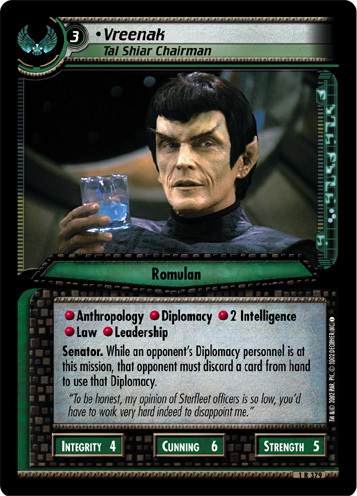 I intend to display its broken hull in the center of the Romulan capitol as a symbol of our victory."